For seventy-five years Couristan has been the trusted name in the floor covering industry offering a vast assortment of exclusively designed power-loomed and handmade area rugs, as well as, quality residential and contract broadloom. The business began in 1926, with the import of handmade area rugs from Persia and is still owned and run by the Couri family. Today, Couristan is known for having the most exquisite power-loomed and handmade floor coverings available anywhere in the world. Couristan’s power-loomed area rugs offer beautiful, distinctive designs at a great value. Our power-loomed rugs come in a vibrant and diverse selection of colors, designs and patterns made from natural fibers like New Zealand Wool, as well as synthetic blends. Collections range from traditional to contemporary, from novelty to natural textures. Handmade area rugs are like works of art. Couristan’s handmade area rugs have extraordinary detail and elegance in unique motifs including antique-washed looks, traditional, deeply contoured Orientals and fashionable open field area rugs with intricate borders in brilliant hues. Since the 1950’s, when the company entered the broadloom market, Couristan has remained the undisputed leader serving the residential and hospitality industry, with the experience, skills and production capability to handle even the most complex and demanding projects. Styles range from traditional florals, to classic Oriental and Persian designs, to neutral colors with distinctive textures. In 1991, Couristan launched its division of licensed area rugs and has become the most recognizable name in the floor covering and home furnishing industries. Today Couristan’s colorful, innovative area rugs highlight the hottest brand names and licensed properties available, including Forbes and Joseph Abboud. Our vast assortment of roll runners provide endless decorating possibilities for the home. 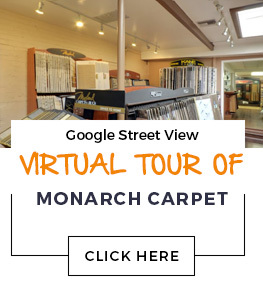 Couristan is one of the few carpet manufacturers who carry 31″ and 36″ wide roll runners for more decorating potential, as well as the standard 26″ size. In addition, roll runners coordinate with Couristan’s best-selling collections of area rugs.